So you've been working with an experienced agent to get your home on the market and it's priced within what comparable properties have sold in your area. A few days on the market and along comes not only a low ball offer but a quite unreasonable low ball offer. I call this kind of offer a "double whammy" offer! A recent story below, will explain How To Handle Unreasonable Low Offers. But, the first piece of advice I give to sellers is - don't get mad or emotional about unreasonable, low or both type of offers. I know How To Handle Unreasonable Low Offers logically and effectively and can guide you through the selling process. The story. Our sellers priced their home correctly for their area and their competition which were a LOT of $1M ++ brand new homes, selling fairly quickly, with all the bells and whistles buyers are looking for in today's market. While the sellers home was absolutely lovely and included a guest house, pool house, 4 car garage and RV garage it was a bit dated so we priced the home with that in mind. I knew the right buyers would come along and see the incredible value of the home, amenities, gorgeous acre lot and gated community. The first offer on the table came in and I couldn't believe it, honestly and I had to look twice at what a ridiculous "double whammy" offer it was! It was an unreasonably low offer and add to that, it was contingent on 2 homes selling and closing - that weren't even on the market yet - plus a bogus approval letter was submitted with the offer. Seriously? I am sure you can see all that could go wrong in that scenario! The sellers stayed calm and decided to turn down the offer. I left communication open with the buyers agent stating that the sellers would be open to the buyers submitting another, reasonable offer including the terms and conditions that the 2 homes would be, at the very least in escrow, and to submit proper proof of qualification for these buyers and the buyers on their homes. Yes I know, it sounds complicated! At times dealing with multiple offers is very complex, but we have closed many homes with multiple buyers and sellers over the years so it can work out successfully. These buyers were blending 2 families and I had a feeling they were not on the same page about living together as they had looked at the home 4 or 5 times and it seemed one family wanted it more than the other. I never heard from their agent again so my hunch was spot on, the buyers weren't that serious or they would have submitted a reasonable offer to begin with or at the very least the 2nd time around. A few weeks or so later, the sellers did receive a reasonable starting offer, with proper qualification from another buyer. With a little back and forth negotiation they did come to a meeting of the minds and it closed 30 days later. Success for the sellers and buyers - a win win. As I mentioned above, it's always a wise idea to stay calm after receiving a less than reasonable offer, especially while attempting to negotiate a better, reasonable offer. And sometimes, as this story tells, some offers simply are not workable and it's wise to move forward to the next offer. 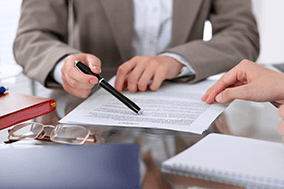 The key to handling unreasonable and low offers is to hire an experienced agent that knows the market well and can guide you through the process as seamlessly as possible. 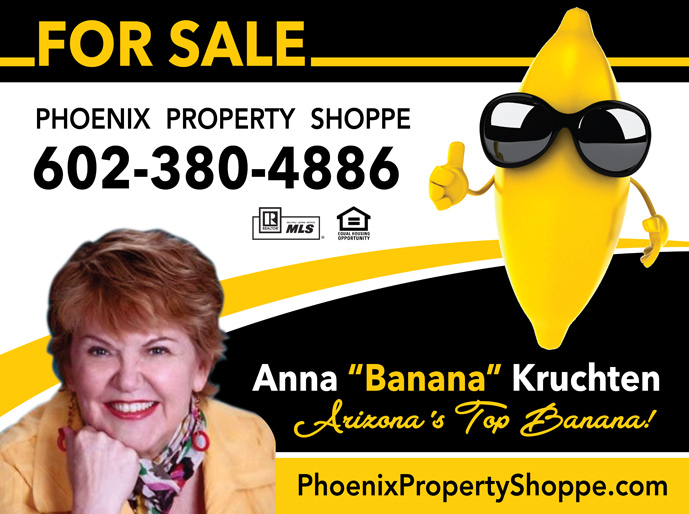 If you are thinking of selling or buying a Phoenix area home, give me a call and let's talk.